Spring comes early in Pasadena California and so do the serious croquet players. 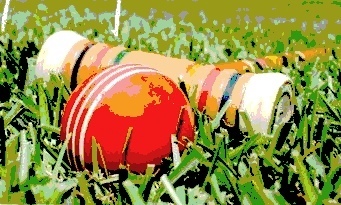 For the second year in a row the Pasadena Croquet Club has held its 9 wicket croquet tournament on the lawns of Garfield Park. The event is named in honor of the historic Cawston Ostrich Farm, which generated world-wide acclaim for South Pasadena in the 1920s. Congratulations to the team of Heidi Rasmussen and Caren Sawyer, who won the finals of the Second Annual Ornery Ostrich 9W Doubles tournament. This event was played on Saturday, March 12th, at Garfield Park in South Pasadena, CA. The decision was made to change the format from last year’s high-low scrambled doubles to a “pick-your-partner” event. Heidi and Caren won a thrilling one-wicket finale over the recently assembled “super team” of Constantine Evans (last year’s defending champion) and up-and-comer Michael Rumbin of the WoodRanch Croquet Club in Simi Valley. In fact, the game was won in last turns, with Heidi hitting a clutch 8 foot wicket shot to seal the game.Placing third was the team of Scott Rasmussen and Kim Lum. Placing fourth was the sister-sister team known as the “Bond girls,” Carson Bond and her sister Laurie Mitchell. Thanks to everyone who entered the event this year. With 12 paid entries, we broke last year’s total. Thank you also to those who came out to watch the excitement.